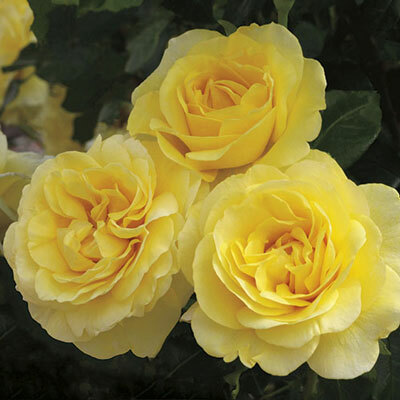 BIG fragrant & full old-fashioned blossoms of pure yellow have all the charm of an English rose but born on this side of the pond. Yet it easily bests the disease resistance of any English variety hands down retaining its gown of rich green foliage. The vigorous bushy plant flowers like a fool well into the season without turning into a sprawling stingy space-eater in the landscape. With a bloodline like this, you know it's gotta be good.